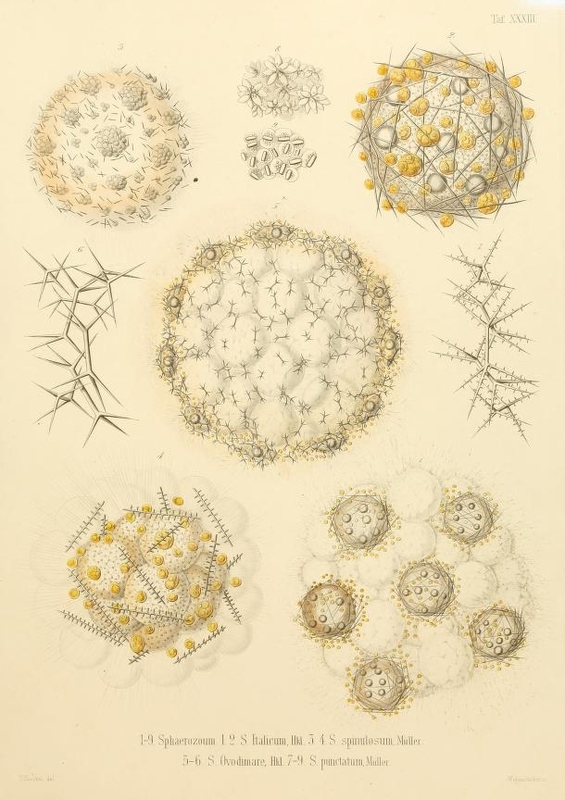 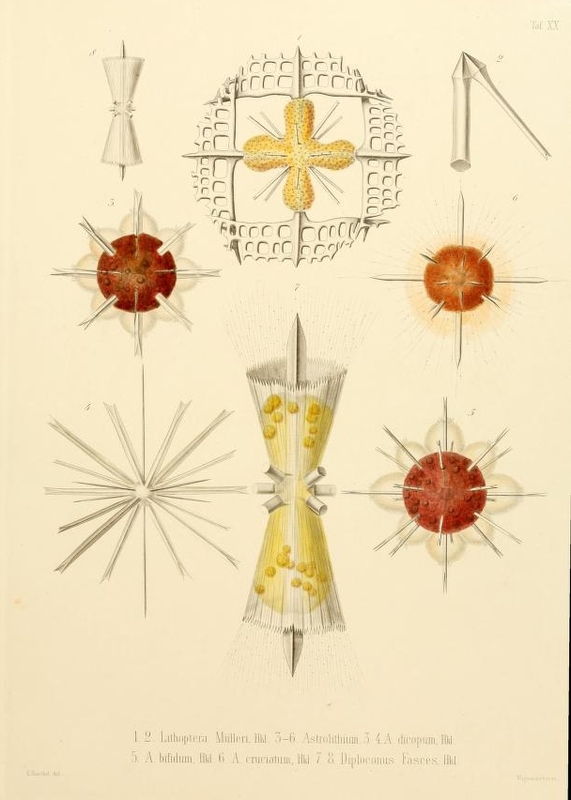 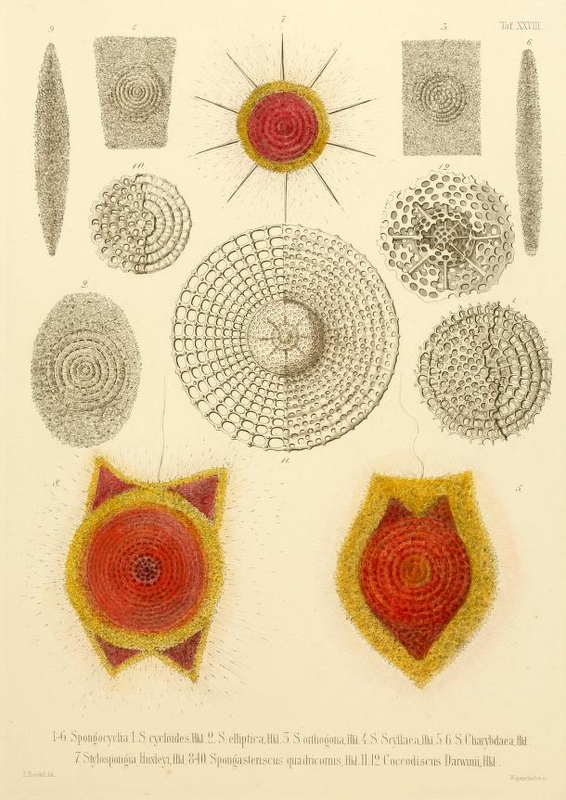 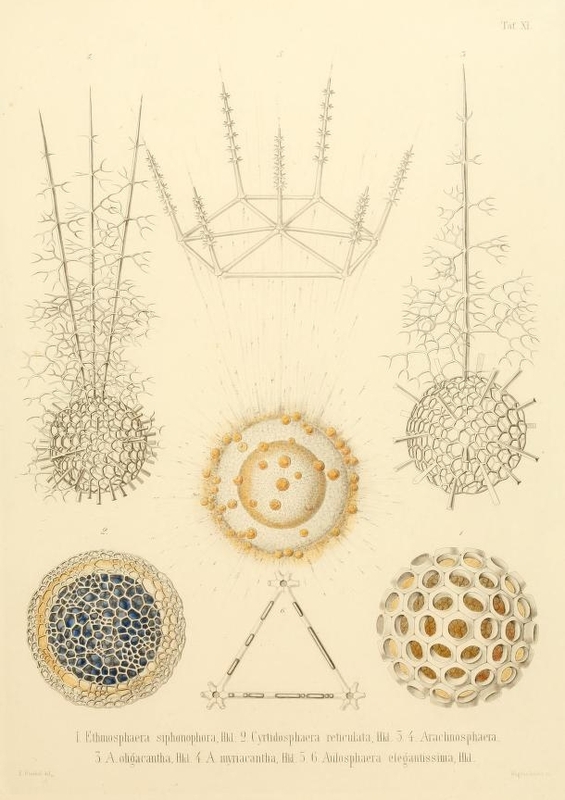 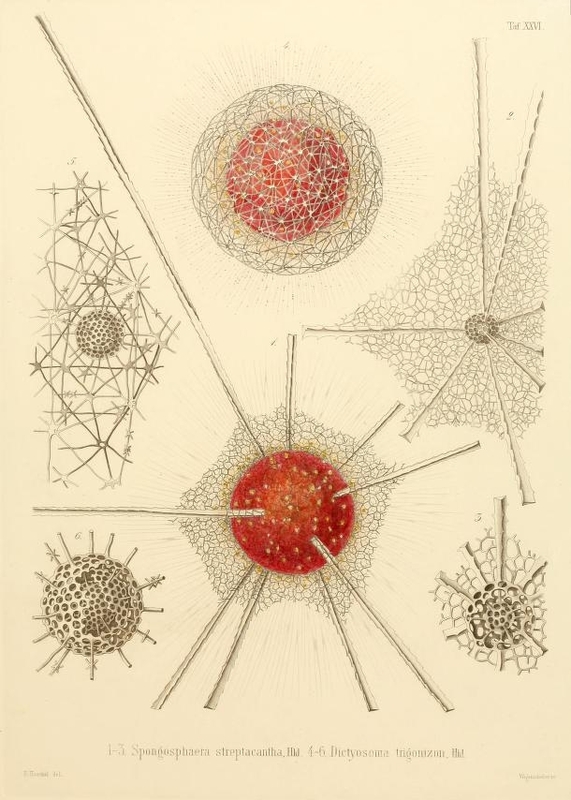 According to Wikipedia Radiolaria are “protozoa of (diameter 0.1–0.2 mm) that produce intricate mineral skeletons, typically with a central capsule dividing the cell into the inner and outer portions of endoplasm and ectoplasm. 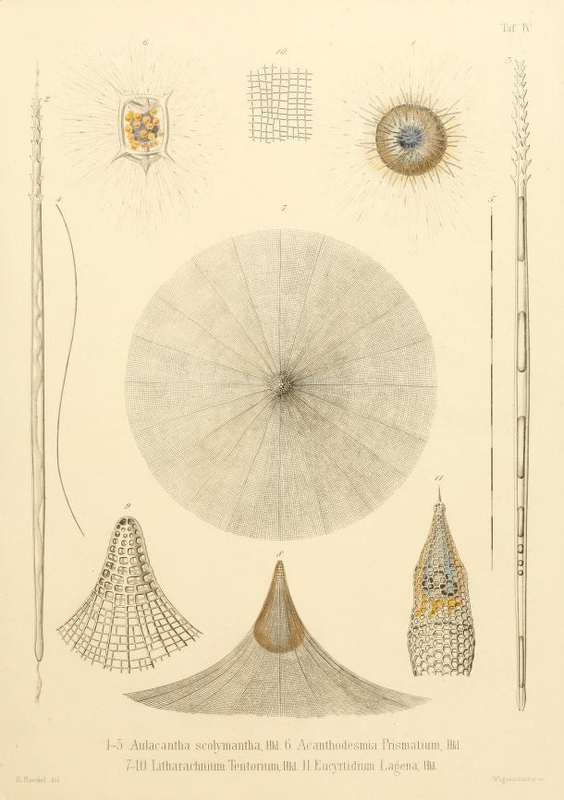 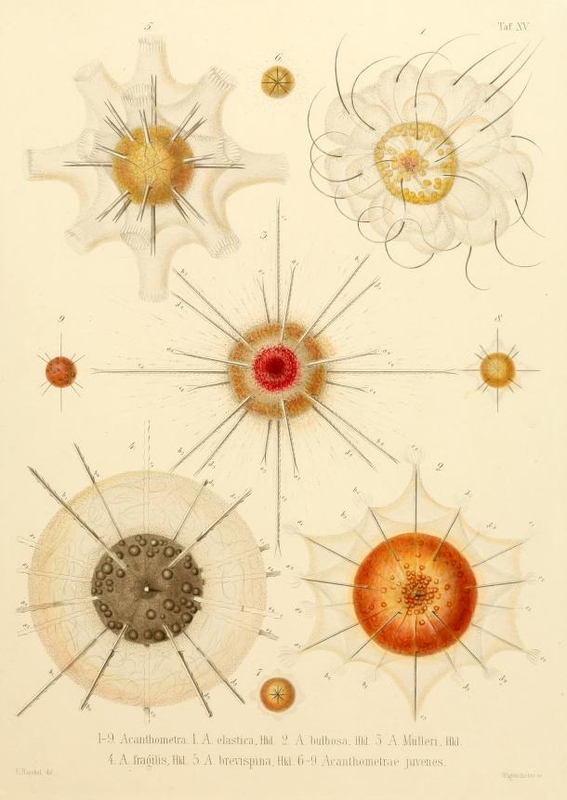 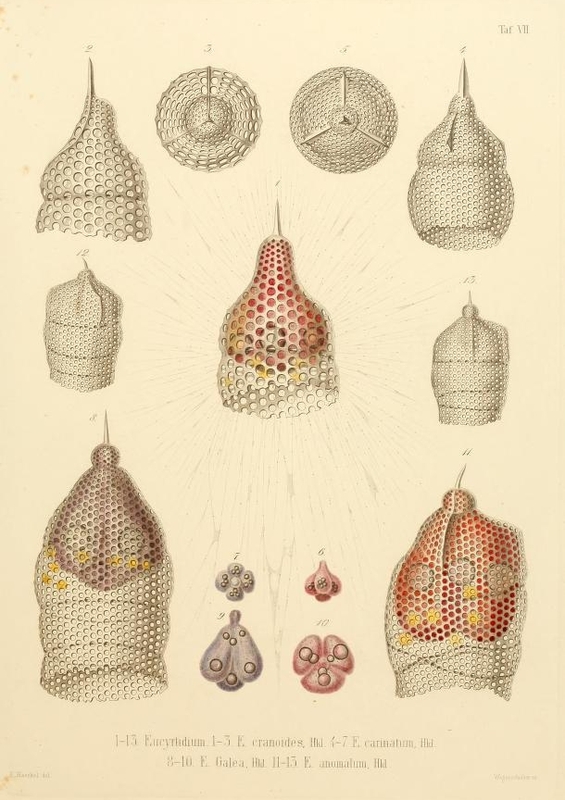 They are found as zooplankton throughout the ocean, and their skeletal remains make up a large part of the cover of the ocean floor as siliceous ooze.” In 1862 the German biologist, philosopher and artist Ernst Haeckel published an image laden monograph on these microscopic organisms, turning his eye and exquisite line to their intricate and varied forms. 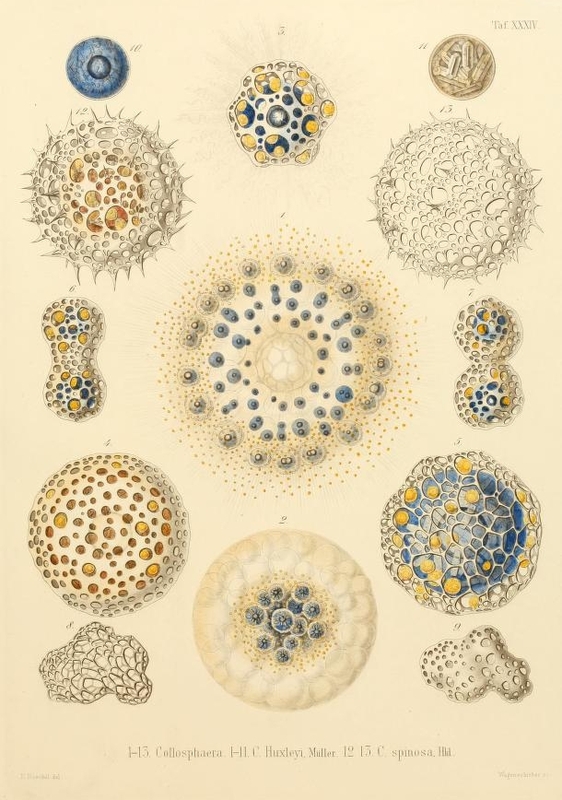 For more on Haeckel check out our article “Ernst Haeckel and the Unity of Culture” by Dr Mario A. 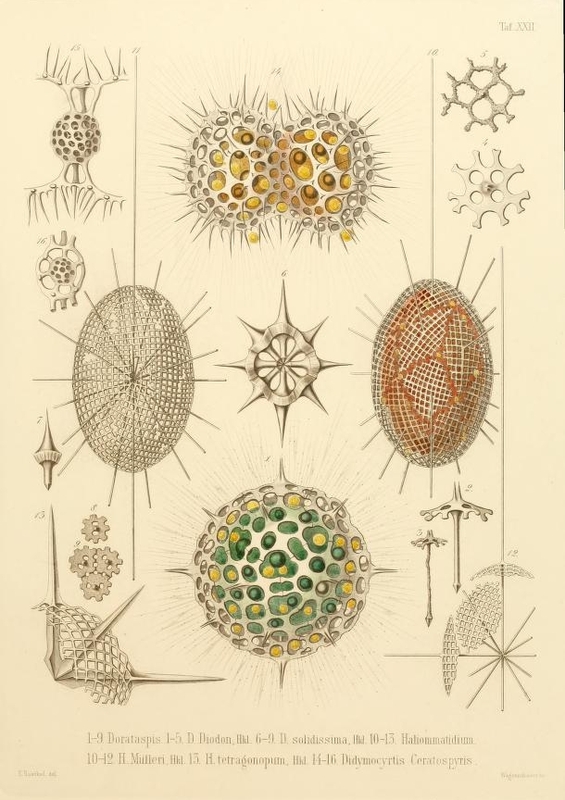 Di Gregorio, on Haeckel’s theory of “monism” which lies behind the mesmerising illustrations of his Kunstformen Der Natur.